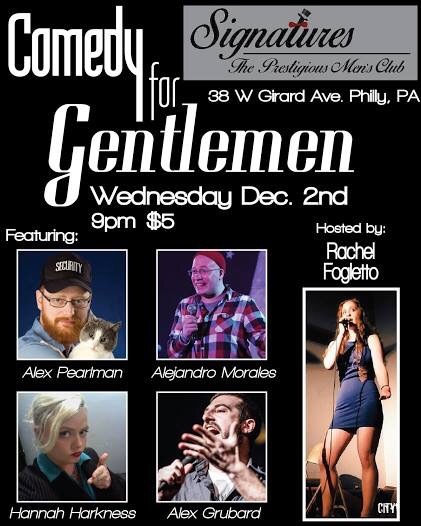 Wednesday, December 2nd, get ready for the debut of Comedy for Gentleman! Come for the laughs, stay for the ladies (or vice versa) you do you! RSVP to our event on FB! $5 cover at the door, 2 item min- come one, come all!